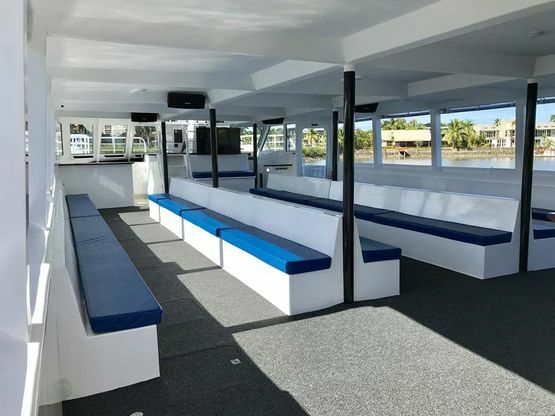 This well-appointed professionally built 22 meter Passenger Craft is designed for a commercial operator or resort, catering for clients on scenic day cruises, snorkeling and / or diving excursions and social events. 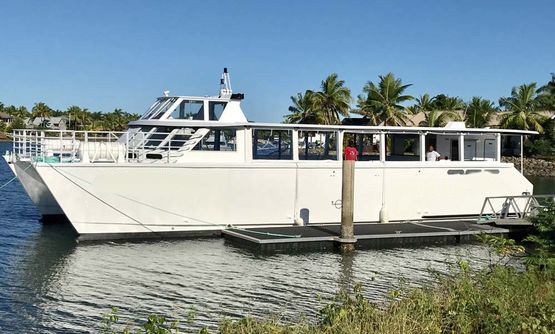 Cool breezes and sweeping views are optimized by the open sided hard top design; providing protection from the sun, with the option of roll down clears if required. 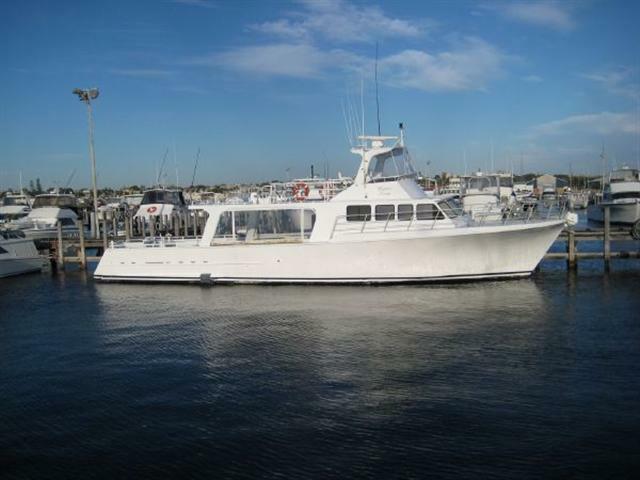 The vessel features a commercial style galley with stainless steel appliances and additional wet bar forward. Easy access to the water is via the dual walk through transoms with fresh water showers available. Design and Construction: Plans were completed to ISO 12215. Foam composite construction utilizing ATL Duflex Composite panel system for quality control, long lasting and durable finish. Twin Cummins QSB 5.9 – each 480 H.P turbos drive props and shafts. Cummins Australia visited Fiji for final installation and warranty sign off. MAX RPM 3400. As at June 2018, each motor has run approximately 120 hours since new. 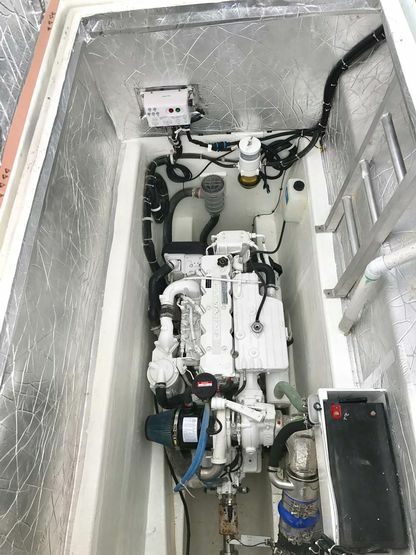 Sea Wasp 14 kva marine genset. 2 x 5 blade with Propspeed. 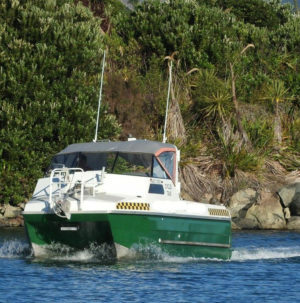 Speed: 22 Knots sprint. 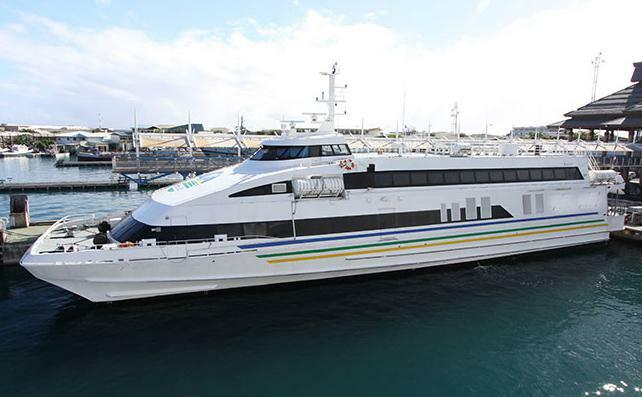 Speed: 18 Knots cruise. 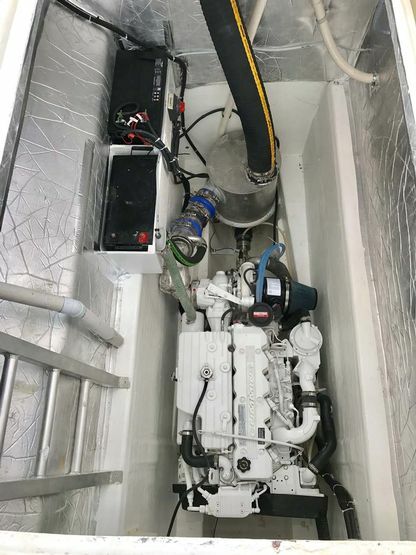 Twin bow thrusters – Vetus Maxwell 24V. HY drive heavy duty, hydraulic steering with copper pipe lines throughout. Aluminium tanks. Water 2 x 1000 Litres, Diesel 2 x 1000L, Waste water 2 x 700L. 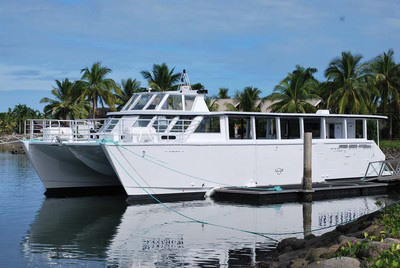 The vessel has been designed to accommodate 130 passengers (including 4 crew) as a elegant day cruiser. 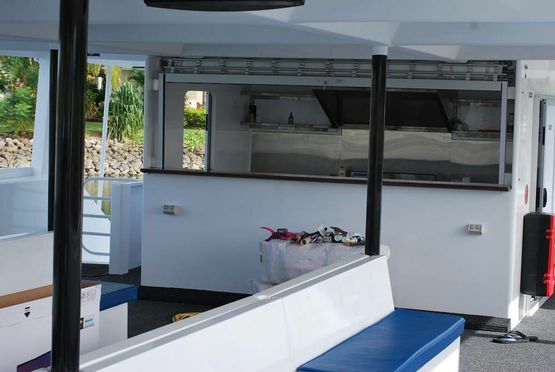 It has a professional Galley to cater for tourist day cruises, sunset cruises, cocktail parties, weddings and other events. The center two rows of seats can be easily removed to add tables or as an open social / entertainment area. Stainless steel appliances throughout. 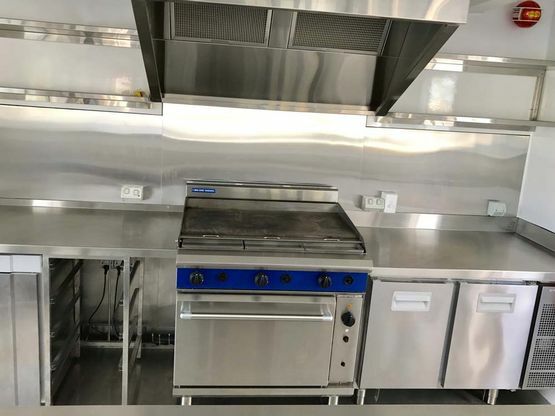 Ice maker, bar fridge plus freezer blue seal gas convection range with 900mm griddle. Heavy duty s/s extractor fan and speed control. Starline GLV under counter dishwasher. Stainless steel pan and dish rack holders. Serving counter. Sea Wasp 14 kva, single phase. LED lightning throughout, blue strip mood lighting as well and lighting dimmable. Water heater – 240 volt and can run off the main engine if required. 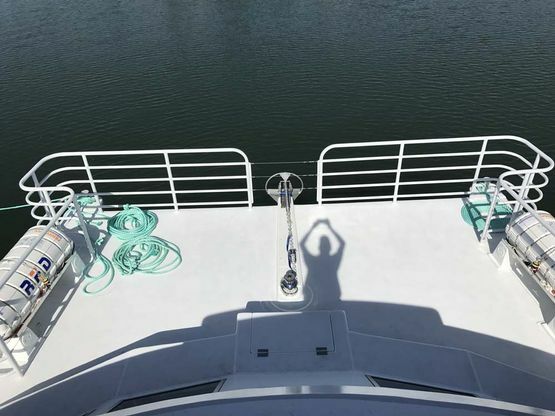 CCTV installed throughout the vessel. 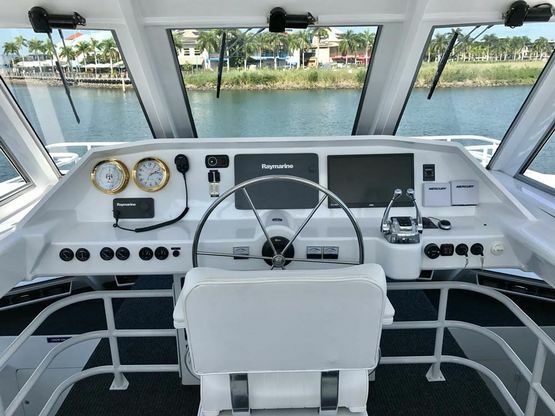 Located in both engine rooms, external stern positioning – port and starboard, docking starboard side both bow and stern. 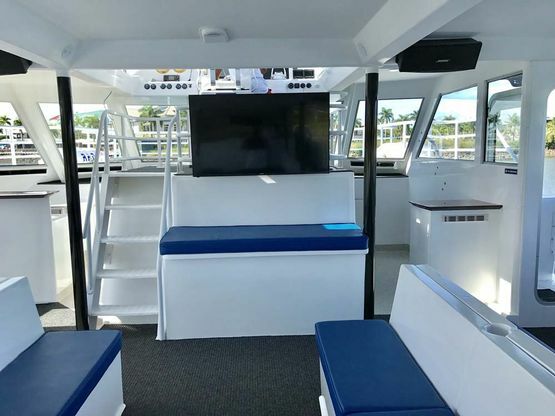 In addition cameras can be added at both cash transaction stations and within the internal cabin. Winch, anchor, chain and fittings. Secondary back up anchor with chain, ropes etc. 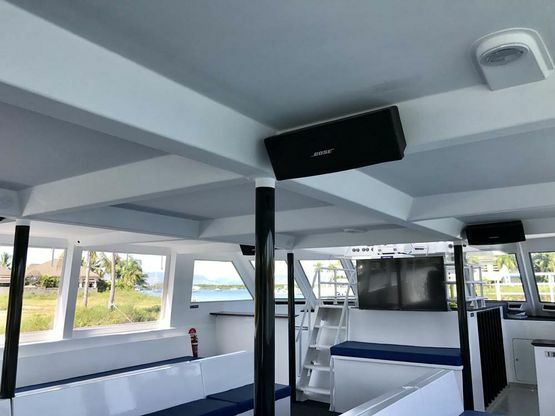 Commercial Bose marine disco / loud speaker system with 4 heavy duty speakers, DVD, mixers CD and mobile including 2 remote microphones. 55 inch smart TV screen with Karaoke capability. Raised helm with easy access ample storage underneath for supplies. Day bar with cold drink storage and ice machine. 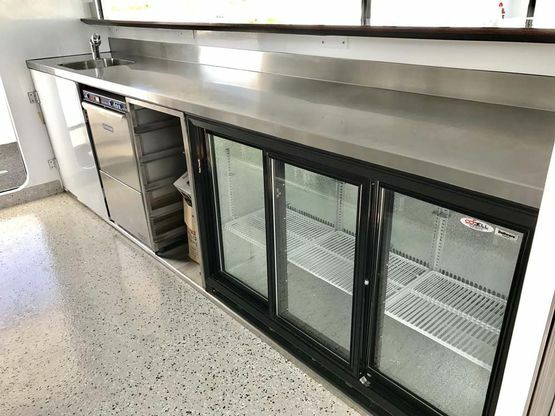 Equipment & service bar with secure storage for stock in trade. Seating approval for 130 passengers including 4 crew. Separate male & female toilets; spacious and well appointed. Side boarding access at three points. 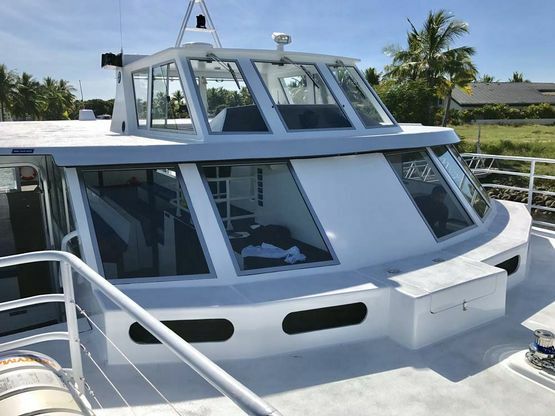 Dual 65 person life rafts. Anchor system including windlass and thrusters. Open sided hard top with roll down clears. Bose sound system and interconnected video / karaoke capability. 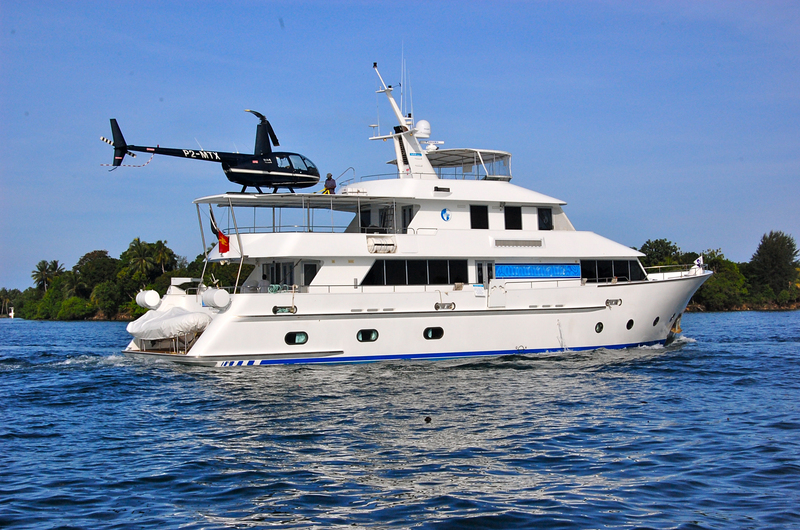 The vessel is passed into Marine Safety Authority Fiji. MSAF survey documented and photographed throughout construction period. Other Licenses: Fully furnished with operational Fiji business and Liquor licenses. 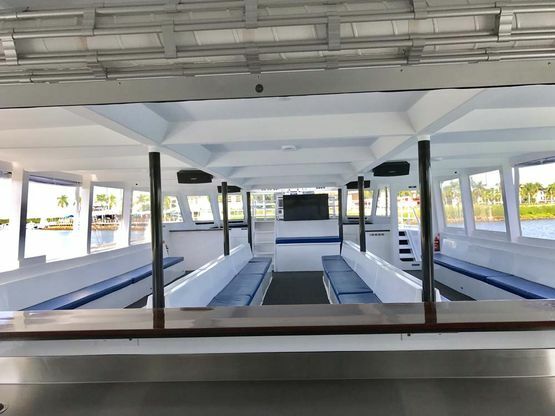 Owner is also prepared to sell as a Charter Business (Established 8 years) including all trading licenses in place and full Survey certification. 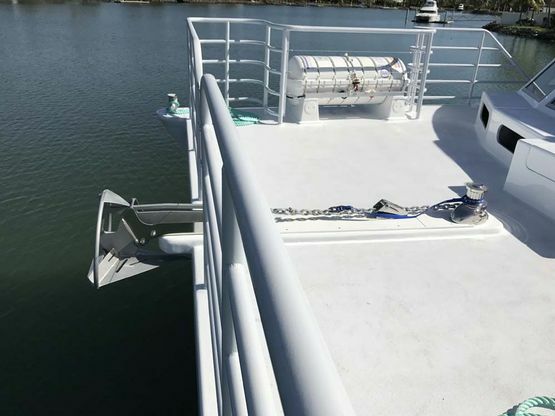 The vessels high freeboard has resulted in three separate boarding heights being available; these are ideally suited for the transport of visiting cruise ship passengers to shore or direct to an island / excursion.